Look at How Much Home $300K Gets You! Location, Location, Location! You can change many things about a house, but you can't change the neighborhood. You may be thinking, ‘I want the best location but I also want it to be affordable.’ So you’ve picked out some locations you’re interested in. You have thought about the style of home that is the best fit for your family. But you have a budget you need to stick to. Where do you begin? Take a look at these gorgeous Houston area homes that are currently on the market to get an idea of what you can purchase for just $300,000. This stunning 3 story townhome is just minutes from the Museum District, Montrose and the Medical Center. This home is perfect for living in the heart of downtown with convenient access to a variety of entertainment shopping and dining! 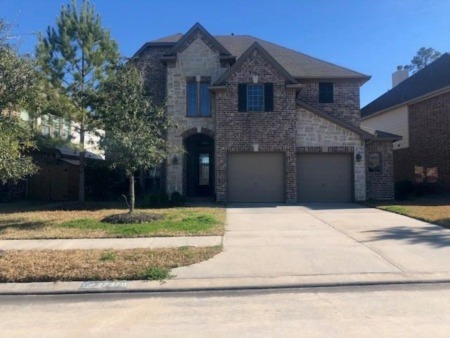 Located just north of the Grand Parkway, this upgraded 4 bedroom home will not disappoint! Can you see yourself preparing meals in this kitchen? Absolutely stunning! Located in beautiful Rose Hill, this new construction home has everything. Stainless appliances, granite countertops, hardwood floors and even has WIFI Certified Home Automation including Alexa. You will fall in love with this home or any of the other new construction homes available in the northside of Houston. This condominium is in a gated community in the Heights! Interior features include a fully-remodeled master bathroom, wood-burning fireplace, lots of storage and new paint throughout. Just steps away from walking and biking trails and minutes from some of the city’s finest restaurants and shopping. Want to live in the heart of Montrose? This townhome offers a pool, perfect for entertaining guests in the summer. Inside the home boasts granite in the kitchen, glass front cabinetry and tiled backsplash. This Montrose home is just minutes to all the fabulous dining and entertainment that location has to offer!! This charming home is just one of the many that you will find on the southside of Houston. This home has been meticulously cared for and is warm and inviting. In this home you will find 4 spacious bedrooms, an updated kitchen and pool to relax in during those hot summer months. This beautiful home has all the bells and whistles. Vaulted ceilings in the master suite, master bath with double door entry features dual vanities, glass-enclosed shower and spacious walk-in closet. Need a work from home space? The study is enclosed by French doors making it the perfect workspace. These homes will give you a better idea of what is out there for in your budget. Like what you see? Contact me and I will help you find a home in a great location and in your budget. To Contact Ellen, call 936.714.6913 or fill out the contact request form here.